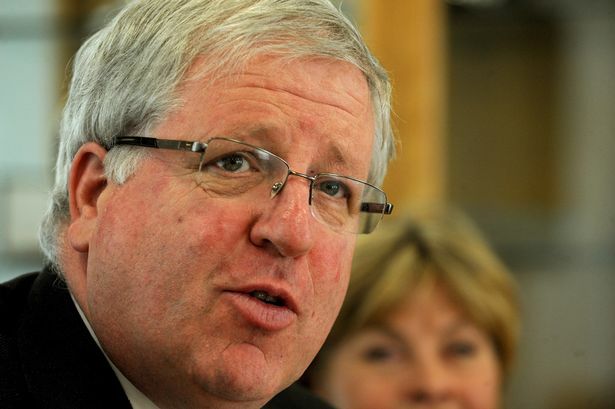 Patrick McLoughlin has unveiled plans to speed up the construction of HS2 in his first major speech since being kept on as Transport Secretary. The Staffordshire-born cabinet minister said he wants to see construction work on high-speed rail begin within two years and also outlined plans to speed up the second phase. That could mean work taking place in Staffordshire up to six years earlier, as the Government wants construction on the line through the county to Crewe to start in 2021 and be completed by 2027 rather than 2033. Mr McLoughlin announced he will introduce a new Bill in Parliament to speed up construction of the £50 billion high-speed line in the county. He said: “The general election result was a massive vote of confidence in favour of HS2. “So the argument has been won. HS2 will be built, the full ‘Y’ network, from London to Birmingham and Birmingham to Manchester and Leeds, with construction starting in just two years. In his first speech since the election, Mr McLoughlin dismissed any claims that the controversial link would be scaled back to save money. Legislation giving approval to the first leg to Birmingham was outlined in the Queen’s Speech last week and the minister said that plans for “phase two” north of the West Midlands would be outlined later this year. It potentially brings development in Staffordshire forward. However, the Government will now confirm the final route of the tracks until autumn, meaning residents across Staffordshire face an anxious wait. In a speech in Leeds, Mr McLoughlin also reiterated promises for an “HS3” scheme with rapid east-west rail links between Manchester, Liverpool, Leeds, Sheffield, Newcastle and Hull.